Britain’s first floating solar panel project has been constructed in Berkshire, as part of a scheme its architect hopes will offer a blueprint for the technology that could be built at hundreds of selected sites across the country. The project, consisting of 800 solar panels, was installed in early September on a reservoir at a 300-acre fruit farm close to the village of Wargrave. The program is reportedly eligible for renewable energy subsidies, funded by energy bill payers. The developer of the scheme, Mark Bennett, told the Telegraph that the floating panels generate more revenue than conventional solar farms positioned on fields because earnings from potentially valuable farmland need not be forfeited to create space for them. Bennett has brokered a deal with French company Ciel et Terre, which developed the technology for distribution through his newly-established company, Floating Solar UK. 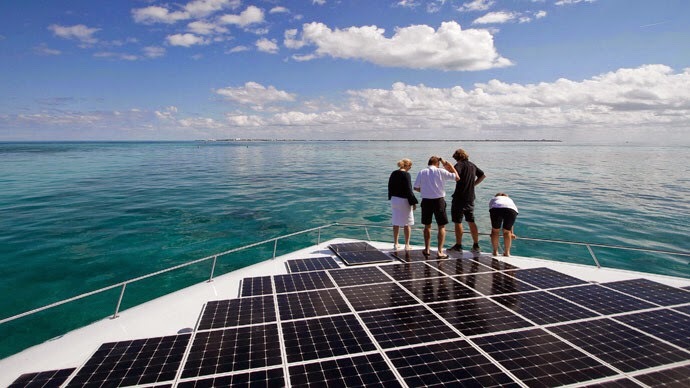 The pioneering technology, which is currently being deployed on a wider scale in Japan, entails multiple solar panels mounted on specially designed plastic floats, forming a large raft. Bennett says he has been approached by a number of water, utility and agricultural companies with access to large bodies of water. The 800-panel installation can generate up to 200 kilowatts of power, and spans approximately an acre in total. But Bennett claims future floating energy projects could easily be up to 100 times bigger. The Berkshire farm development was built for £250,000. Bennett hopes to earn £20,500 a year in subsidies funded by consumers for the power it produces over the next two decades. He suggests, over this period, he will save roughly £24,000 per annum as a result of no longer having to purchase power from the national grid. The scheme could therefore pay for itself by 2020, and will most likely deliver a “minimum profit” of over £620,000 over the next two decades, Bennett says. In light of the recent spread of solar farms across British fields, ministers have recently made a move to tighten up on UK regulations governing the projects. The policy shift has been sparked by concerns the solar farms are visually compromising Britain’s landscape, and potentially disrupting biodiversity. A key subsidy program for some of the state’s largest solar farms, each of which entail thousands of specially designed panels, is set to be terminated in April 2015. While subsidies reduce costs, and are designed to meet EU targets, they must also offer a “handsome rate of return for existing technologies,” he said. In 1994 at age 39, José María Figueres was elected president of Costa Rica, becoming the youngest president of a Central American country during modern times. 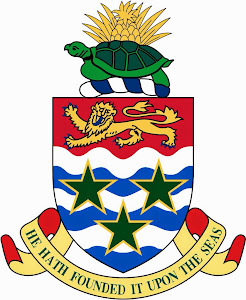 A graduate of the United States Military Academy at West Point and Harvard University’s John F. Kennedy School of Government, his administration focused on sustainable development. Since then, he has served as the chair of a United Nations taskforce, CEO of the World Economic Forum and then Concordia 21, and most recently president of Sir Richard Branson’s nonprofit Carbon War Room. Fresh off travel through parts of Asia with RMI chief scientist Amory Lovins, we asked Figueres about the importance of working with islands, creating low-carbon economies, and how to accelerate transforming global energy use. Rocky Mountain Institute: Like RMI CEO Jules Kortenhorst, your background spans business and government. Looking at today’s energy and climate challenges, why are market-based solutions — even if bolstered by supportive governmental policies — so important for driving change? 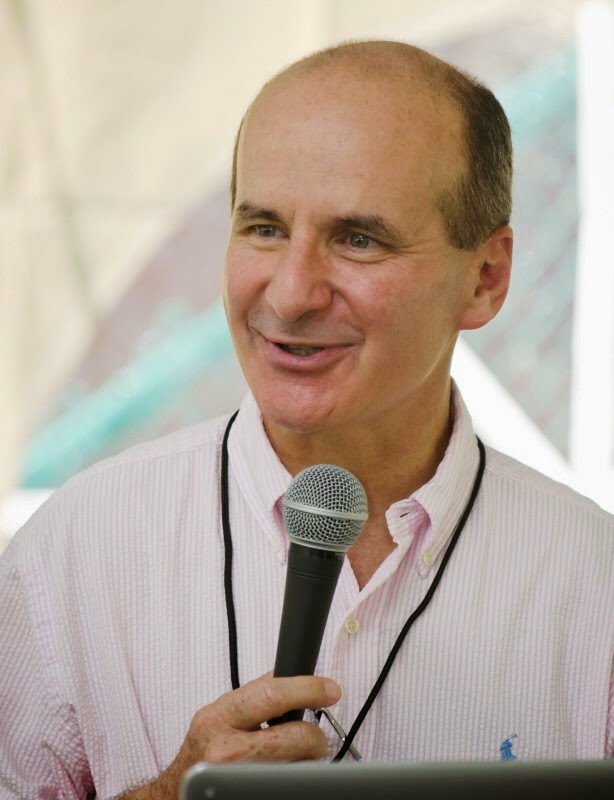 José María Figueres: About 40 percent of global carbon emissions can be profitably avoided today within existing international agreements and national regulations by applying already-proven technologies. RMI and CWR are leaders in helping businesses realize this terrific market opportunity. As we get more capital to flow into financing the transition toward clean energy and lower carbon emissions, we can provide profitable example for others to follow and broaden understanding about these issues at the same time. RMI: Looking at RMI and Carbon War Room’s collaborative work together in the Caribbean, including the Creating Climate Wealth summit earlier this year, why is focusing on islands so important, given their small contribution to climate change yet great vulnerability in the face of it? JMF: Working with islands to shift their energy base from fossil fuels to renewables is important for at least three reasons. First, it helps improve the quality of life for island residents, who are burdened with some of the highest electricity prices in the world. Second, such a transition creates jobs, investment possibilities, and entrepreneurial opportunities that render these islands — normally dependent on tourism for the overwhelming bulk of their economies — more competitive. And third, our work with islands can yield shining examples of a successful transition to lower-carbon, clean-energy economies using existing technologies. This will hopefully inspire others to follow in their footsteps, and not only on literal islands. After all, islands need not be surrounded by water. They can be an off-grid mine, a rural community, an isolated military installation, and much more. RMI: Costa Rica, already known as an ecotourism hot spot and global leader in environmental stewardship, has set a goal to become carbon neutral by 2021. Your energy mix is already almost entirely renewable (mostly hydro plus some geothermal and wind), with an impressively small amount of fossil fuels. As the country embraces diversification with other renewables, such as solar in the Guanacaste region, what lessons can the rest of the world learn from your successes and challenges? JMF: The first lesson is that renewables are profitable. Powered by renewables Costa Rica has successfully diversified its economy, with a very pronounced and competitive export-oriented bias. Secondly, we are living proof it can be done even among developing nations with scarcer economic resources than the developed world. Thirdly, our experience shows that systemic thinking in addressing these challenges is much better than a “silo” focus. RMI: What do you see as the most significant barriers that stand in the way of transforming global energy use? With renewables making an increasingly compelling economic case — garnering billions of dollars of global investment, while their costs keep declining, making that investment go further — how can we accelerate their adoption and topple incumbent fossil fuels? JMF: There is nothing harder than changing cultural attitudes. Most of the world grew up on fossil fuels without thinking of their unintended consequences: increasing carbon emissions driving climate change. Now we must change our habits and practices, and do so within a ten- to fifteen-year window to avoid temperature changes from escalating beyond two degrees Celsius. This requires broadening our understanding with respect to the business opportunities it entails, strong leadership to change present business models, and public-private partnerships to make progress in the short time we have to act. RMI: With China and the U.S. dominating global oil imports, fossil fuel consumption (especially coal), and carbon emissions, how do smaller countries such as Costa Rica and the Caribbean’s island-nations perceive their place in that landscape? JMF: Smaller nations face both a great challenge and a great opportunity. The challenge — and it’s not an easy one to come to terms with — is that even if we do everything we can in the smaller nations and reduce our carbon footprint to zero, the world still needs China, the U.S., Brazil, India, and other large players to do more and move faster. The opportunity, though, is for smaller nations to set an example in the transition to low-carbon economies, which hopefully inspires others to follow. Then, the issue becomes one of scaling solutions, rather than proving them in the first place. Smaller nations can become early-adopters proving the case that paves the way for other major world energy powers to follow. Follow José María on Twitter. This article is from the Summer 2014 issue of Rocky Mountain Institute’s Solution Journal. To read more from back issues of Solutions Journal, please visit the RMI website. The Secretary General of the United Nations convened a Climate Change Summit now underway in New York today. Approximately 120 Heads of State and Government are expected to attend. 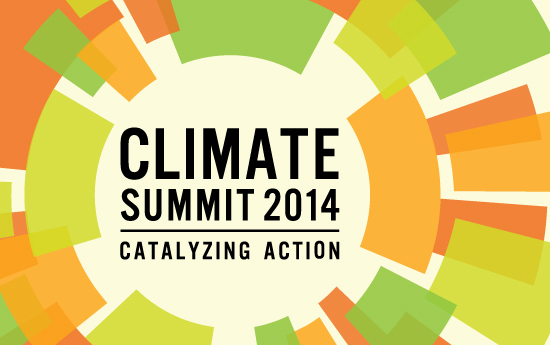 The purpose of the summit is to support the global effort to combat climate change. In particular, the leaders have been asked to announce their national targets to reduce their emissions of greenhouse gases, the gases which cause global warming and to announce the support they will provide to enable developing countries to reduce their emissions and to undertake adaptation actions. The support to be provided includes financial and technical support. Small island developing states to lead the way to green energy transition – U.N.
Small island developing states, despite still being heavily reliant on fossil fuels, could turn things around and lead the way towards green energy transition, said the United Nations. “S.I.D.S. 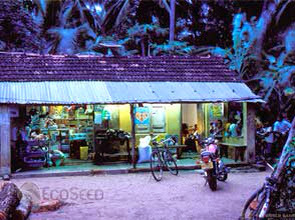 are creating opportunities and examples that, if replicated worldwide, could lead the transition from fossil fuel energy to renewable and sustainable energy,” said John Ashe, U.N. president of the General Assembly, in his opening address in Apia, Samoa, to the High-Level Event on Sustainable Energy For All. According to the U.N., universal access to modern energy services, doubled rate of improvement in energy efficiency, and shared renewable energy globally by 2030 should be ensured. In the case of the S.I.D.S., the three goals have special relevance due to the nations’ inflated energy costs due to remoteness, small size, and vulnerability to climate change. In line with this, it is estimated that as much as 20 percent of people worldwide who live without access to electricity are in islands. “Sustainable energy for all is an important tool for eradicating extreme poverty, creating economic opportunity, combating climate change and supporting sustainable development,” Ban Ki-moon said in his keynote address to the event. “But we need all stakeholders to act together across all relevant sectors,” he added emphasizing the event’s theme of creating genuine and durable partnerships with small island nations. Mr. Ban also noted that the world needs to see examples of cutting greenhouse gas emissions and sustainable energy sources so as to inspire others and follow. Comments Off on Small island developing states to lead the way to green energy transition – U.N. 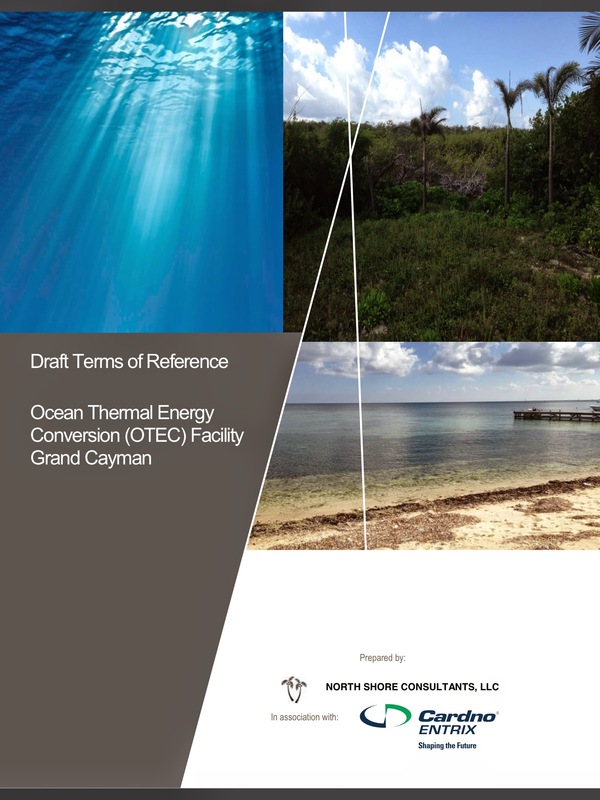 The Environmental Assessment Board (EAB) is providing Notice to the Public of the publication of the Draft Terms of Reference (ToR) for the Environmental Impact Assessment (EIA) for a proposed Ocean Thermal Energy Conversion (OTEC) Project on the north shore of Grand Cayman. The public is invited to review and comment on the To R which has been developed in collaboration with the EAB, which includes representatives from the Department of Environment, Planning Authority. Port Authority, and the Electricity Regulatory Authority. 1) in writing during the public meeting. 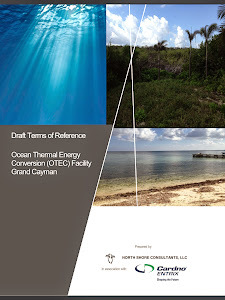 4) hand delivered, in writing, to Department of Environment, Environmental Centre, 580 North Sound Road, George Town , Grand Cayman. centre to provide an opportunity for OTI and the EIA Consultant to outline the project and to invite comments and questions from the Public on the draft ToR. Representatives from OTI, the EIA Consultant and the EAB will be available to provide information and receive comments concerning the ToR . The presentation will commence at 7:30 p.m. and will be followed by a question and answer session at 8:00 p.m. The period for written comments on the draft ToR opens on Friday 12 September for a duration of 21 days and will officially close at midnight on Friday 3 October 2014. 1 September 2014: Participants recognized sustainable energy for all as a tool for eradicating poverty, combating climate change, creating economic opportunities and achieving sustainable development for all small island developing States (SIDS), at a high-level side event, titled ‘Linking SIDS and Sustainable Energy for All (SE4ALL): From Barbados to Samoa, and Beyond.' 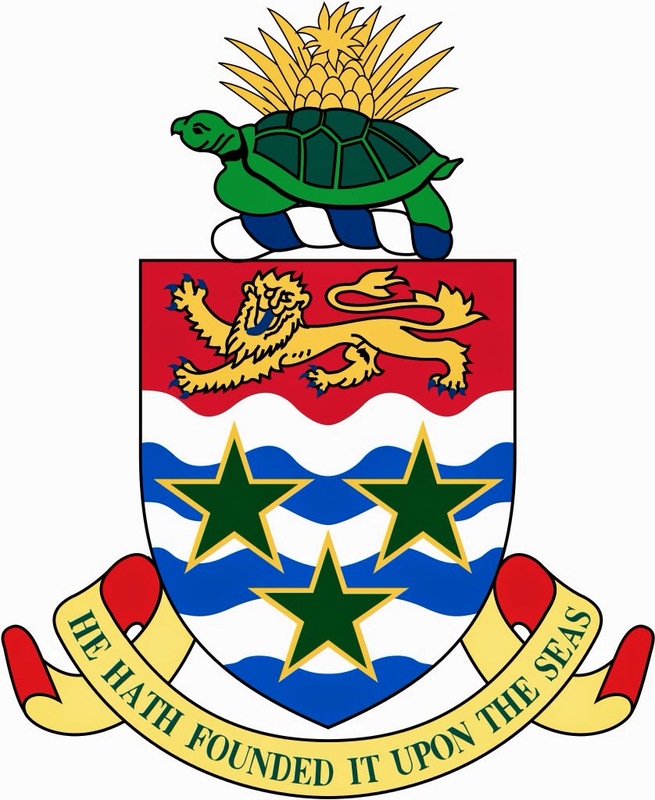 The event took place on the sidelines of the Third International Conference on SIDS, in Apia, Samoa, on 1 September 2014. The SE4ALL side event aimed to build on commitments from the UN Conference on Sustainable Development (UNCSD, or Rio+20+) and the Barbados SIDS High-Level Conference on SE4ALL, to take stock of progress since these events and chart the way forward to ensure sustainable energy for all SIDS. Speaking at the event, UN Secretary-General Ban Ki-moon said achieving the three targets of the SE4ALL initiative is an important part of putting the world on a pathway for keeping temperature rise below two degrees Celsius. He outlined the need for a new energy paradigm, particularly for SIDS, who he said are particularly vulnerable to climate change and faced inflated energy costs due to their remoteness, and he welcomed the proposal of a dedicated Sustainable Development Goal (SDG) on sustainable energy for all with a focus on access, efficiency and renewables. Ban encouraged all leaders to “bring bold actions and ideas and strong political vision and political will” to the UN Climate Summit. “SIDS are creating opportunities and examples that, if replicated worldwide, could lead the transition from fossil fuel energy to renewable and sustainable energy,” said UN General Assembly President John Ashe in his remarks. The panel was moderated by Helen Clark, UN Development Programme (UNDP) Administrator, and featured: Adnan Amin, Director-General, International Renewable Energy Agency (IRENA); Camillo Gonsalves, Foreign Minister of Saint Vincent and the Grenadines; Salvatore Bernabei, General Manager, Enel Green Power Chile and Andean Countries; Naoko Ishii, CEO and Chairperson of the Global Environment Facility (GEF); and Reginald Burke, Caribbean Policy Development Centre. Key messages included the importance of reducing risk to catalyze private investment, the leadership being taken by SIDS, and various SIDS initiatives on sustainable energy, such as SIDS Dock and IRENA's SIDS Lighthouse project.